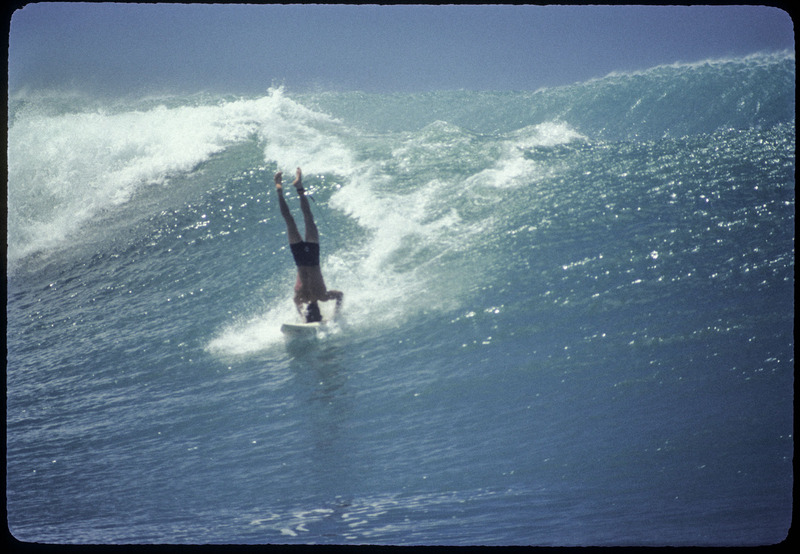 During the filimg of the late 70's movie Seaflyte the filmers heard about his famous headstand surfer and had to track him down for a movie section. How the hell he road these waves upside down and looking backwards is anyones guess. Rick Cook was in a league of his own.